Jennifer Lawrence or Katniss Everdeen of the Hunger Games trilogy. This is my daughter’s latest drawing of a lead character in a movie. I wish I could request her to write a short review of the same film since she loves it to bits. Hunger Games is a series of young adult science fiction novels by Suzanne Collins (wikipedia). 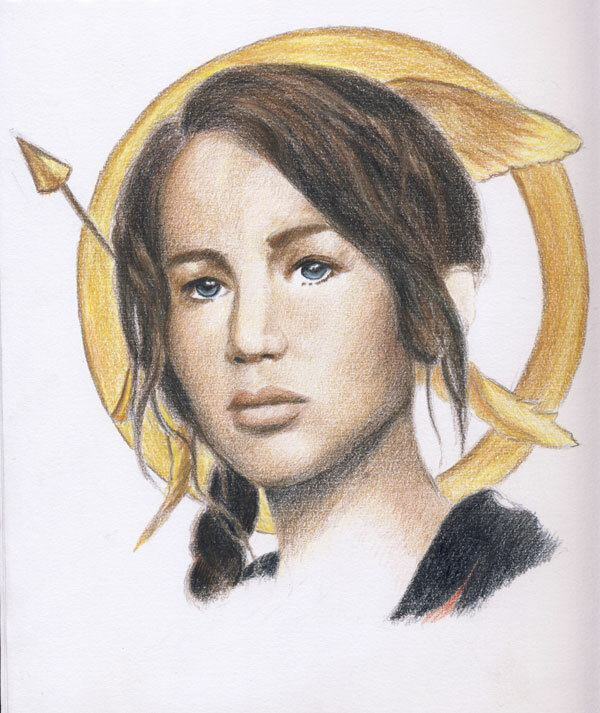 This entry was posted in Artwork and tagged Hunger Games, jennifer lawrence, katniss everdeen, science fiction, science fiction novel, suzanne collins, trilogy on March 26, 2012 by Yami. Thanks. It took my daughter to finish the drawing for one week, I think.